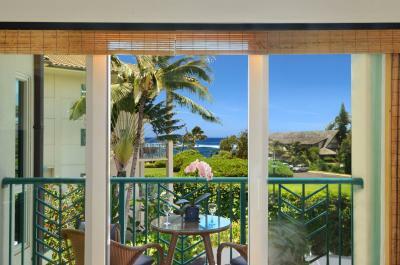 Located on Kauai’s Eastern Shore, our oceanview and beachfront resort condo rentals in the highly-desireable “H” Building at the Waipouli Beach Resort offer luxury amenities and some of the best views in Hawaii. Experience a vacation of your dreams in exquisite luxury oceanfront Waipouli Beach Resort and Spa with lanais large enough for dining. Sit outside and gaze at the sparkling blue azure Pacific Ocean as it washes over the white sand beachfront just beyond the living room and bedrooms with the delightful sound of the surf as it hits the beach. Imagine that you’re strolling down a sun-kissed Kauai beach, basking in the ideal weather and splendid scenery for which Hawaii is famous. 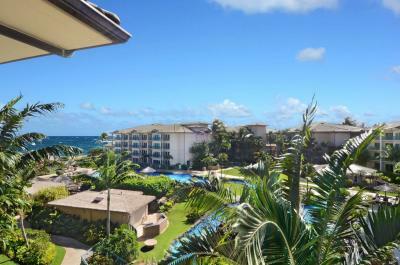 The crashing waves and warm tropic breezes are washing away your cares. 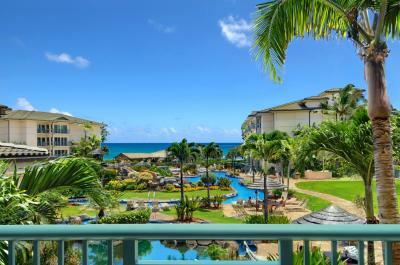 Maybe later you’ll play a round of golf at one of the many world-class courses located nearby. Perhaps you’ll have a leisurely dinner with that special someone. You might take a swim in the ocean. Or you could go for a helicopter ride and enjoy magnificent vistas few people ever get to see. 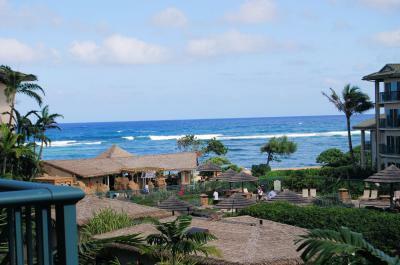 Whatever your pleasure is, you’ll find it here on Kauai. 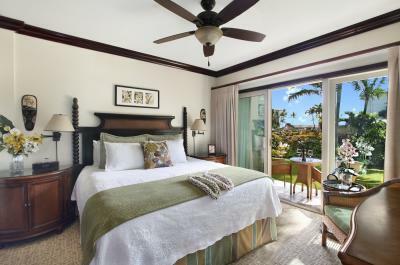 Plus, when you stay in one of our top-rated ocean view vacation condos on Kauai, you’ll experience a level of comfort and service that’s impossible to beat. 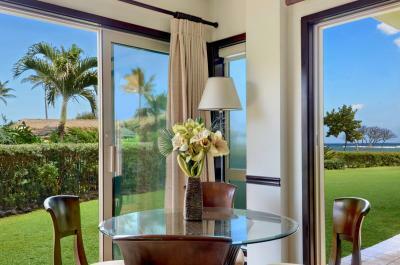 Those are just a few of the treasures waiting for you at Waipouli Beach Resort and Spa, Kauai’s premiere destination. Leading publications like Parade of Homes and Travel and Leisure Magazine give our properties outstanding reviews, so you can feel good about staying with us. 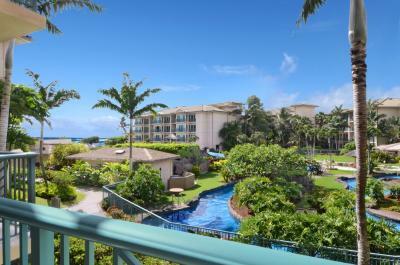 Minimum stay is three nights (seven nights during Holiday dates) – perfect for those who desire a longer Hawaiian experience. Call our friendly customer service specialists at 1-888-822-2403 or email us at info@kauaicalls.com to reserve your spot in Paradise today.